It may not be the biggest media decision of the week – after all Theresa May must soon act to block Rupert Murdoch’s proposed takeover of Sky TV or let the media mogul add control of satellite TV to his clutch of Fleet Street newspapers. By contrast the newly appointed Controller of BBC Scotland has a relatively simple choice to make. Donalda Mackinnon must decide what’s to fill the late night current affairs slot in early 2017 after Scotland 2016 finally slips off the airwaves this week. 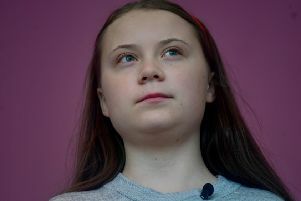 Straight after that, she must decide if four months of pilots have produced a viable formula to let the much-anticipated Scottish Six replace the network 6 o’clock TV news and Reporting Scotland. Her decisions will let viewers and listeners learn quite a lot about the likely direction of BBC Scotland on Donalda Mackinnon’s watch. The new Controller BBC Scotland has a lot of things going for her. She is the first woman to hold the post and that automatically gives her management a feeling of freshness. She is also hugely likeable and personable and a very good communicator - her husband Seumas Mackinnon is the man behind Café Gandolfi, the restaurant whose success is based on the loyalty of its long-serving staff. 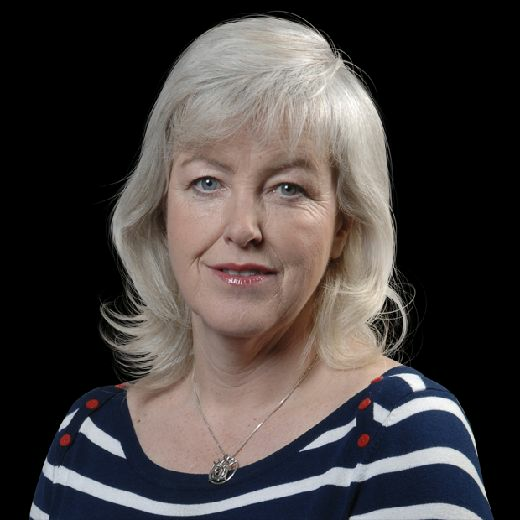 Likewise Donalda Mackinnon is known within BBC Scotland as a talented programme-maker and someone with experience of more than just the newsroom and the central belt. Originally from Harris and a fluent Gaelic speaker, she has been head of Gaelic and Children’s services in Scotland and job-shared the role of Head of Programmes with Maggie Cunningham before taking on the entire job herself. More recently she was instrumental in the BBC’s improved coverage of the Edinburgh Festivals and is described as “a passionate advocate of radio services in English and Radio.” Radio-lovers will be relieved and hopeful to see the much-overlooked Cinderella medium given such prominence by the new BBC Scotland boss. For too long the bi-media policy of sending one reporter to cover stories for both TV and radio has been to the detriment of radio – a medium that can explore ideas in a way TV cannot and should broadcast the very best contributors from any part of the world thanks to ubiquitous studios and near universal access to Skype. But too often Radio Scotland unaccountably limits itself to the obvious contributor and the received line of questioning. Weekend versions of Good Morning Scotland show how extra cash could help producers plan ahead, stand back occasionally from the kneejerk reaction to news and encourage more confident production. But of course, the new BBC Scotland boss will be judged on the success of TV news -- and there’s not much time to get it right. If there’s a second independence referendum within the next two years, Donalda MacKinnon has very little time to turn BBC Scotland’s poor audience ratings around. In an interview on Good Morning Scotland this weekend, she acknowledged that in the wake of the 2014 referendum “there is a feeling among a significant percentage of the population, that trust might need to be rebuilt”. That is a whopping understatement. Producers on a documentary I’ve been making on the links between Scotland and Northern Ireland this summer have been astonished at the number of Scottish contributors who simply refused to appear on a BBC programme. Many Yes supporters have just stopped watching BBC News altogether – opting for Channel Four to supply UK and international perspectives and STV News and Current Affairs for Scottish coverage. Never mind bias – a long discussion – BBC Scotland is late, hesitant, wooden or plain absent from the big domestic issues facing Scots. Its reluctance to be part of the wide-ranging debate on land reform is bizarre. Channel Four News, the Radio 4 PM programme and BBC One’s One Show all reported on the farm sale of the evicted Arran tenant farmers John and Ian Paterson for example, but BBC Scotland was conspicuous by its absence - again. Neutrality isn’t achieved by ducking every issue where the establishment faces challenge – but that’s been happening to a greater or lesser extent since Greg Dyke walked the plank as Director General over the “dodgy dossier” a decade back and an already-cautious BBC Scotland took several steps back from its own domestic frontlines. Scotland Tonight and STV News at 6 now provide more knowing political coverage with more genuinely local news and look set to beat Aunty to the chase with an integrated “Scottish Seven” in early 2017. Meanwhile, the volunteer-staffed, crowd-funded Democracy TV (a spin-off from the independence referendum) provides live-stream coverage of events, speeches, demonstrations and events that BBC Scotland doesn’t recognise as newsworthy and of course the online world is full of podcasts, YouTube videos and alternative outlooks. None but the BBC gets a penny of taxpayer support yet all are more directly accountable. Since broadcasting is reserved to Westminster, BBC Scotland avoids meaningful scrutiny – too small and northern for London yet not directly answerable to Holyrood. So it’s effectively impossible to discuss BBC Scotland’s news agenda, even though that’s urgently needed to stop Aunty sleepwalking into a rerun of Indyref1 as the slow motion Brexit crash provokes political reaction north of the border. One big issue is the composition of the BBC Scotland newsroom – there’s just one woman amongst the eight senior posts and despite the recent headhunting of a senior STV producer, staff describe the outlook as “macho.” Will that change? Donalda Mackinnon has already promised she’ll spend more of the licence fee raised in Scotland on programming produced here. But that pledge begs an important question. Will these new programmes be made in Scotland for the Scottish audience or the UK network? The answer really matters. Programmes made for network bring in cash but often fall back on old-fashioned stereotypes of Scotland or at least downplay important cultural difference to keep Surrey Man and Woman viewing. The recent row over a Question Time producer sharing posts by far-right groups is also relevant. The programme is made by a Glasgow-based independent company, but the executive producer works for BBC Scotland. Nigel Farage has been a guest 32 times – is that right? Are we even allowed to ask? All these complex questions now land at Donalda MacKinnon’s door. Thank goodness she’s a communicator because Scots are expect some bold answers.